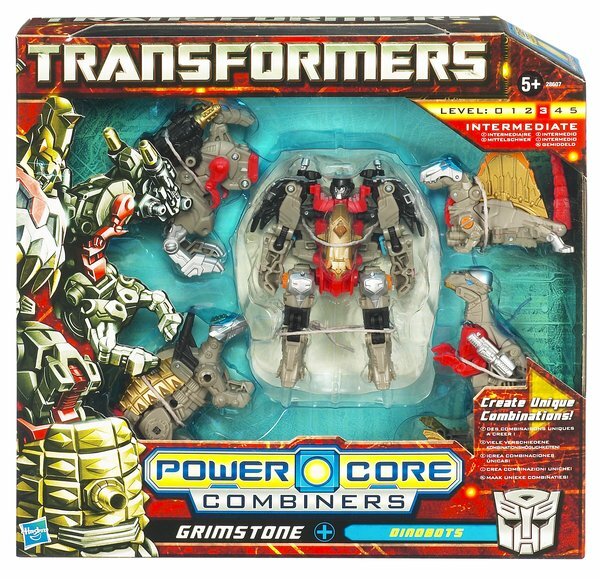 Grimstone has always dreamed of power and the privilege it brings. 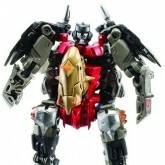 Despite his hunger for power, however, he has always considered the needs of others before himself. 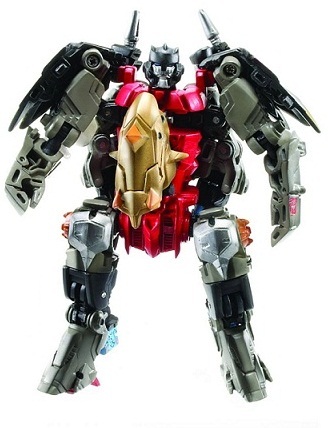 He believes it is the responsibility of the powerful to protect those less fortunate - a belief he intends to aggressively enforce now that he has his own Power Core team. 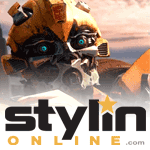 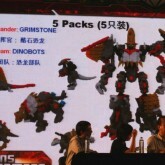 Grimstone with Dinobots toy information. 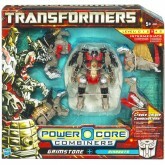 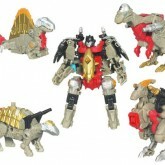 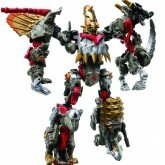 Grimstone with the Dinobots is a new Power Core Combiner Five Pack first shown off at Botcon 2010. 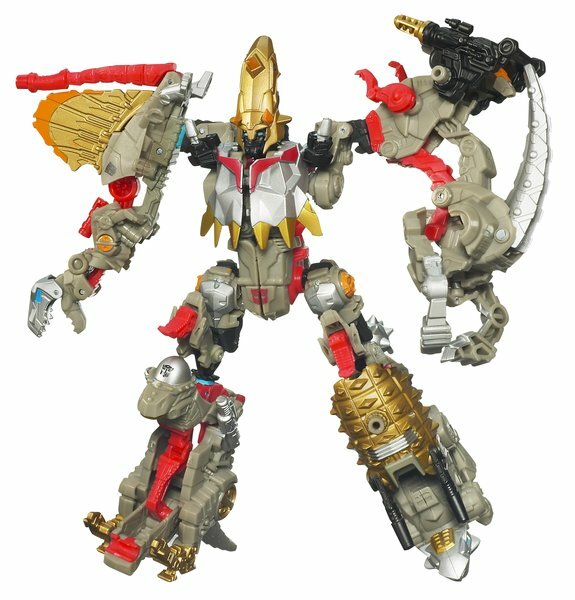 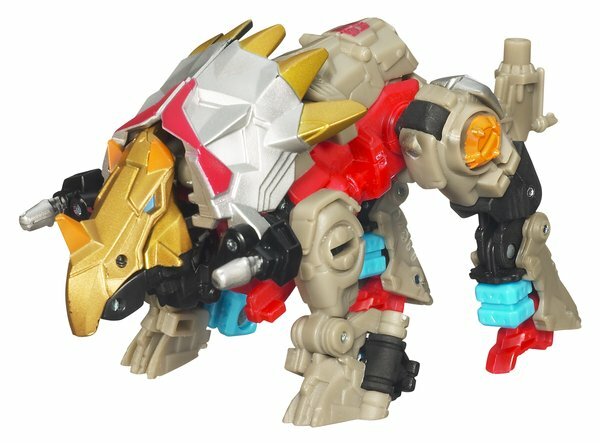 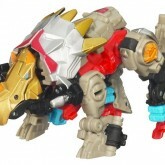 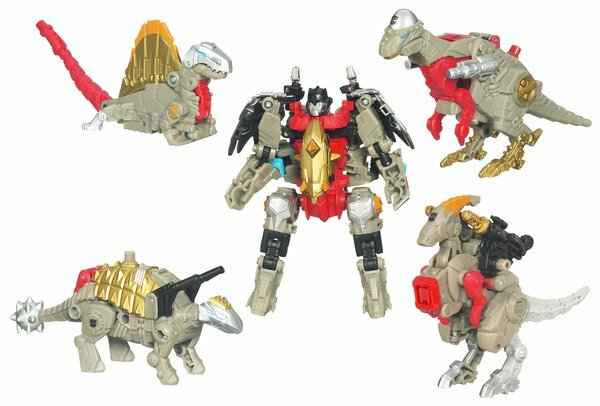 The first Power Core Combiner to use animal forms for its team members, the Dinobots and Grimstone all share basic design traits with the original Dinobots (but use different dinosaurs for their team members). 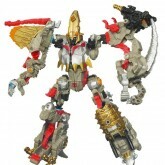 Features one central (Scout class) "Commander" figure and four drone limbs. 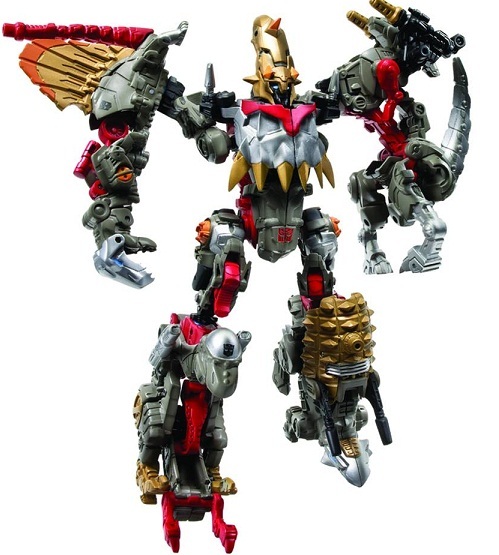 The drone limbs do not possess robot modes of their own, however when attached to the connection points on any Power Core Combiner figure they automorph into their arm or leg forms. 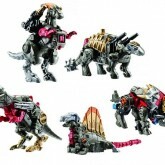 The drones are as follows: Spinosaurus Drone (Arm), Parasaurolophus Drone (Arm), Pachycephalosaurus Drone (Leg), and Ankylosaurus Drone (Leg). 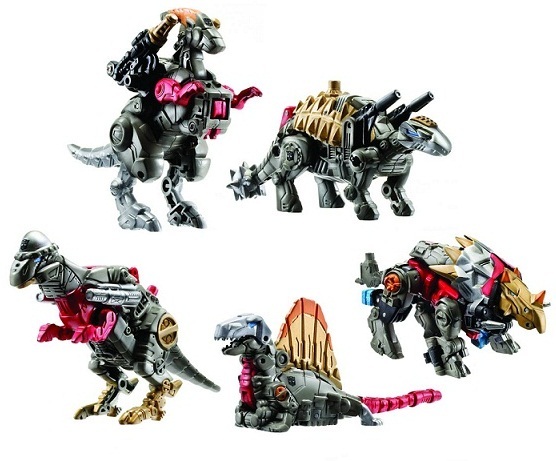 The drone limbs can be interchanged with any of the other Commander figures, or any of the Scout class figures from the two pack assortment. 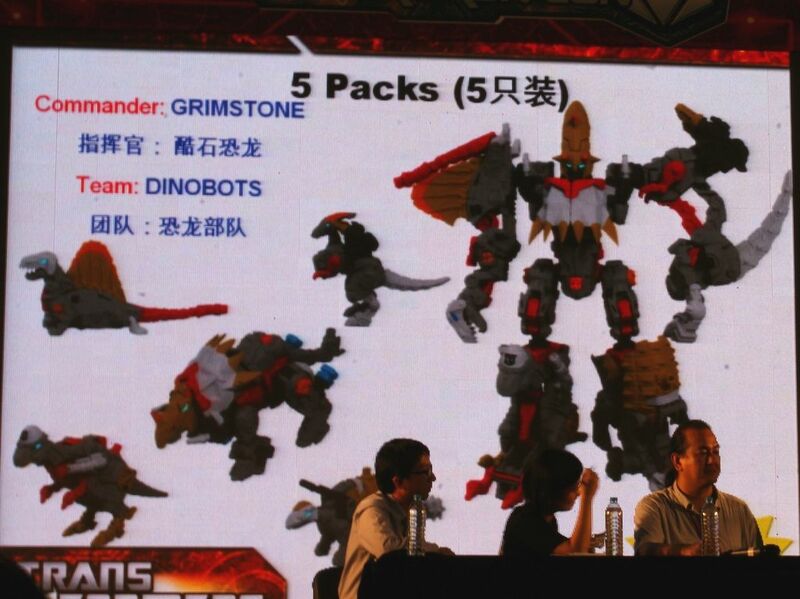 Grimstone with Dinobots parts information.